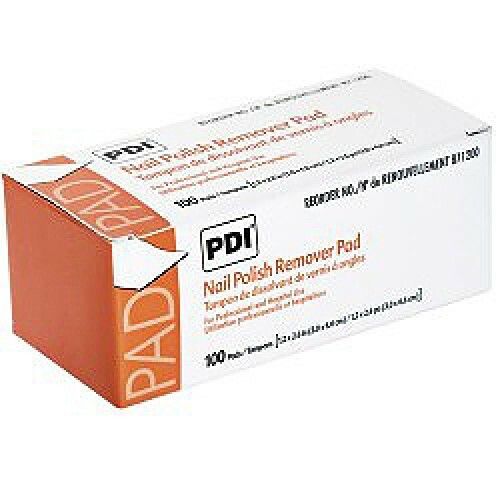 Nail Polish Remover Pads by Professional Disposables come with effective compounds that allow the user to work on multiple nails before disposing. Potent, yet safer than typical nail polish compounds, Professional Disposables Nail Polish remover pads do not contain acetone, a strong smelling ingredient that often irritates people's eyes and nose. The Nail Polish Remover Pads are great for patient care in a hospital setting or simply for anyone who has a use for non-acetone based nail polish remover. Each moistened pad will allow the user to remove polish from as many as 10 nails before disposing -- a good solution when prepping a finger before applying a pulse oximeter for example.